The Central Bank of Liberia has had two controversial issues since the 1999 law repealing the Act of the National Bank, and the Act creating the Central Bank of Liberia. The first revelation was about the excessive Board of Director fees, for example, $56,000 paid to Cllr Sie-A-Nyene Yuoh in 2002. The second is the current debate about the disbursement of loans to small-sized businesses, allegedly disbursed by the Chief Executive Governor, Dr. J. Mill Jones to prepare himself for the 2017 presidential election. If Dr. Jones has successfully put the disbursement of small-sized loans to rest, the US $8 million dollar lent to the Government of Liberia in 2013 and the L$17,000.000,000 reported on the 2012 Balance Sheet as Loans and Advances lent to the Government of Liberia, in clear violation of the 1999 Act might post serious problem. More so, the exceptions [Sections 41 (i.e., Section 32 (b) and 32 (c)] do limit the Central Bank to purchase only publicly traded securities that has a maturity period of 90 days. Meaning, only short-term loans or securities that are sold publicly, and repaid within three months are exempt from Section 41 (a). In violation of Section 41 (1) (a), the Government of Liberia did not sell securities publicly in exchange of the US $8 million it received from the Central Bank to finance the rehabilitation of the Greenville Port, according to the International Monetary Fund Report. Neither, did the accumulation of the debt of L$17,363,251,000 by the Sirleaf Government, as per the Balance Sheet of the Central Bank, did meet the requirements of the 1999 Act of the Bank. For a better view of the loan transaction between the Central Bank of Liberia and the Government of Liberia, let us analyze the 2011 and 2012 Balance Sheet signed by Dr. Jones and Board Governor John Bestman and audited by Pricewaterhousecooper, LLC. Before we review the Balance Sheet, let us discuss what is the foreign excess reserves (excess cash reserves) and whether the Government owns the $238 million deposited in foreign banks. One of the functions of the Central Bank mandated by the 1999 Act states that the Bank shall “hold and manage the foreign reserves of Liberia, including gold.” Better yet, a statement from one of the Bank’s Annual Report implies that Liberia is the owner. Now, let us come back to loans and advances offered to the Sirleaf Government. The note above the Balance Sheet states “All amounts in thousands of Liberian dollars.” Therefore, the L$17,363,251,000, when converted to the US dollar, will be US $248,046,442 at the end of 2012. Equally, so the 2011 balance of L$14,596,789,000 is equaled to US $208,525,557. These loans and advances in 2011 and 2012 are in violation of the 1999 Act of the Central Bank, Sections 32 (b), 32 (c), Section 41 (5) and Section 42. Interest income is generated from money owned. So, if the Central Bank’s Equity was L$9,844,326 (L$40,674,853, representing total assets minus L$30,830,524, representing total liabilities), where did the Bank get the additional L$8,000,000 from in order to lend it to the Liberian Government? Was the L$8,000,000, a portion of the deposits, for which the Central Bank was a custodian and a fiduciary? If yes, did the Central Bank undermine its fiduciary responsibility? Besides the issue of violating the 1999 Act, the use of deposits-amounts set aside to stabilize the financial market-is against the very principle for establishing the Central Bank of Liberia. Predictably, the Central Bank would use commercial banks’ deposits to stabilize the market, if unfavorable economic conditions erupt, including a run on the bank. Alternatively, let us assume that the Central Bank did use portion of the Liberia’s US $262 million foreign excess cash reserves, the most likely scenario, to lend the L$17,363,251,000 to the Sirleaf Government. Wouldn’t such a loan lending practice undermine the business sector that is involved in lending and borrowing? This is because once the Central Bank becomes a participant in lending and borrowing, it would become a formidable competitor, rather being a regulator as mandated by the 1999 Act. Alarmingly, the Liberian Government budgetary documents did not show the loans and advances received from the Central Bank as non-tax revenue. And, also the budget did not record loan payments and interest expense payments as cash outlays. 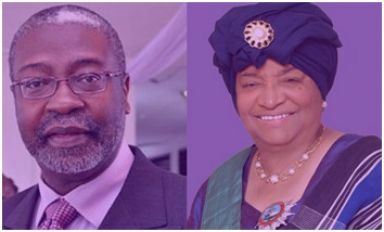 The lawmakers and prominent Liberians should encourage President Sirleaf Government to end asking for loan from the Central Bank, and the Governors of the Central Bank should follow the 1999 Act of the Central Bank.